← And a very good Banyule Festival was had by all…. I was about to write two blog posts about two separate works- a book and a film- until I realized that they were in many ways very similar. For both of them, I’d have to say that not much happened, really. Yet I had a totally different response to them: the book I loathed with a vengeance; the film I loved and even now will probably put right up top of the films I’ll see in 2015. The loathed one first…. 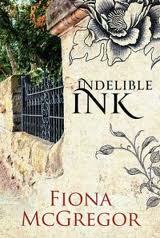 Indelible Ink, Fiona McGregor, 2013, 464 p.
My heart sank when this book was announced with a flourish at my book group as our next read. I have read it previously and disliked it. After reading it a second time, (now that’s dedication) I dislike it just as much. I didn’t blog about it the first time, even though I was doing the Australian Women Writers Challenge. Although my little review would not make any difference to anything, I didn’t feel right about bagging out a young novelist and so I just let it subside without trace on my blog. But it’s two years on, now; the dust has settled and I don’t have the same qualms about being critical. I just didn’t buy the premise of this book from the start. I don’t need to like the characters in a book (and I found them all completely unlikeable) but in the midst of a contemporary, realist book I need to be persuaded that there’s a core of plausibility in the actions of the characters. The book has been likened favourably to The Slap and -how ’bout that- Christos Tsiolkas provided the front-cover blurb- and I can see the parallels of a family story, set in Sydney rather than Melbourne, with all the left-leaning, Radio National-type anxieties of affluent and self-absorbed inner suburban life. All of that’s true of Indelible Ink as well, but at least The Slap moved from character to character, and there was enough variety that you’d find one person at least that you’d recognize (and probably dislike). I think that it was the banality of the conversation that I bridled most against. Who’d want to be around these people? I felt that the author was looming over all, pressing all the ‘luvvie’ hot-buttons, just to get a rise out of her reader. Once again I found myself wishing that someone had ordered ‘cut! cut!’ by about 150 pages because this is a 300-page plot that doesn’t have 460 pages in it. I know that many readers I respect have enjoyed this book- Lisa at ANZLitLovers thought highly of it; reviewers at the Australian Women Writers Challenge liked it; dammit, it even won the Age Book of the Year for 2011. I am so outnumbered here than I was relieved to find that Marieke Hardy from the First Tuesday Book Group and I are as one on this – thank God I’m not alone! And so, on to what I loved…. I’d heard this book mentioned in all the pre-Oscar hype and couldn’t quite see how you could make a film over twelve years. Well, you can – because here it is. It’s not like the 7-up series, where there are clear breaks between filming schedules. Instead, the boy Mason grows imperceptibly older, changing before your eyes. Nothing happens, and yet much does. Perhaps it says something about my pessimistic, anxiety-driven nature but I kept expecting something to go wrong to impose some sort of narrative arc onto the film. I will confess that I did find myself checking my watch a few times during the film, although that was largely because I was wondering how much longer it would go before there was a climax of some sort. There was something rather omnipotent about looking down, watching time elapse, mistakes occur and resolve, expectations rise and subside, plans falter and opportunities arise. My enjoyment of this film was confirmed the next day when I heard friends talking about their little grandson, who is determined to be one of the first kids at school each day. I thought back to the young Mason, and his little ways, and found myself washed over with affection both for the film character and for this little boy I’ve never met who wants to get to school early. I’ve thought of the film many times, as if I’ve lived someone else’s life. Quite apart from the hook of the twelve-year span, it was an intimate epic- big and small at the same time- and right up there as one of the best films I’ve seen in ages. This entry was posted in Book reviews, Film Reviews. Bookmark the permalink. LOL, I wouldn’t say reading ” most of Indelible Ink with a sense of fascinated disdain for its central character” meant I thought highly of it. It had its merits but it wasn’t really my kind of book and I remember struggling to write a fair review. I think I hadn’t read The Slap when I read Indelible Ink but your comparison is apt. Raw, grungy people behaving in very unattractive ways and a lot of very bad language to set the tone. I suspect that the Oar Musa on this year’s MF longlist might be in the same camp and I have no intention of reading it. Not even if *shudder* it wins. I stalled in ‘Indelible Ink’ and didn’t finish it. 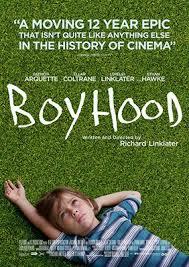 I loved Boyhood. And Marieke H and I tend to agree on novels. I’m interested that several other people haven’t liked it either. Not that I searched very far, I admit, but I had the sense that I was swimming against the tide of reviews. I know that I’m reluctant to comment on books that I haven’t finished, and I wonder if that’s the case with several other readers of this book who abandoned it. I just took a quick look at GoodReads, where the book rates just over 3 stars. There are pages and pages of reviews about it, and from the first page, it seems that there are plenty of readers who disliked it a lot or abandoned it, so you are not alone. But there are also other readers who really, really loved it. You are not alone. I didn’t like Indelible Ink either. It got a lot of attention at the time and won or was on award listings, was marketed (I believe) pretty ‘hard’ whatever that means. It kind of went by my radar initially but my agent mentioned it to me, as a book that was a bit different, and that did quite well. Whatever that means also. I might go back to it, just for learning’s sake, but it was a while ago I put it down.